We are pleased to announce that the all British team Jesus + 4 have partnered with Choke Gaming. Whilst Choke Gaming are a relatively new org to the scene they've proven their formidability over the LANs they've attended, claiming the top spot at both i53, epic.LAN and the prestigious 4 Nations tournament for League of Legends. Their entrance into Dota2 has been long overdue and we here at UKDota.net do not think they could have made a better choice picking up Jesus + 4. Jesus+4 have a long history in the UKDota scene, originally starting off way back as The Last Resort's Dota Squad consisting of 3 of the current Choke Gaming lineup (Dae, Doopz & Logarythmic), the team then evolved after their departure from the organisation into the team they are now, originally formed as a mix for tournaments this squad clearly saw some potential as they consistently provide impressive results. "Thanks Choke Gaming for having us and thanks Tetcher for sorting out all the formalities. 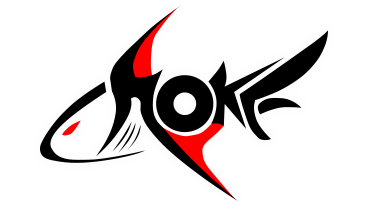 We hope to do well at future UKDota Events such as Iseries, epic.LAN & Player Unlocked." The first LAN they will be attending is the upcoming Insomnia Gaming Festival #54, we here at UKDota.net are sure they'll provide us with some awesome strategies & do their sponsors proud. We wish them all the best of luck! You can follow their progress at their website or their twitter.